…Sleep better every single night? …Relieve muscle strain and soreness on demand? …And even enjoy better digestion? These are just a few of the many, many benefits you’d enjoy if you had a Bullfrog Spa at your home. Relaxation, pain relief, and DIY home therapy could be just a few steps away at any time of the year. Don’t get too comfortable though—your family is going to make you share! Don’t worry, there’s plenty of room for everyone in a Bullfrog. Look… we know there are plenty of good hot tubs on the market. You’ve got options. We’re here to make the argument that Bullfrog Spas aren’t just “good”… they’re the best you can possibly get. If you’re considering getting a hot tub, hear us out! We’ll begin by addressing a few common misconceptions about getting a hot tub of your very own, and then point-by-point we’ll make our case as to why we think Bullfrog Spas are the smartest choice you can make. Myth: A home spa is unaffordable. The truth is that yes, there are overpriced models on the market, but Bullfrog Spas have been specifically designed to be both affordable and ultra-high-quality. We can’t comment on the other guys’ build quality, but Bullfrog Spas have been developed with modern engineering, durable materials, and cutting-edge technology. Your Bullfrog Spa is going to last for a very, very long time—and that’s backed up by one of the strongest hot tub warranties in the entire marketplace. Myth: Hot tub installation is difficult and/or costly. As long as you have enough room for a hot tub, rest assured that the installation is fast and easy. 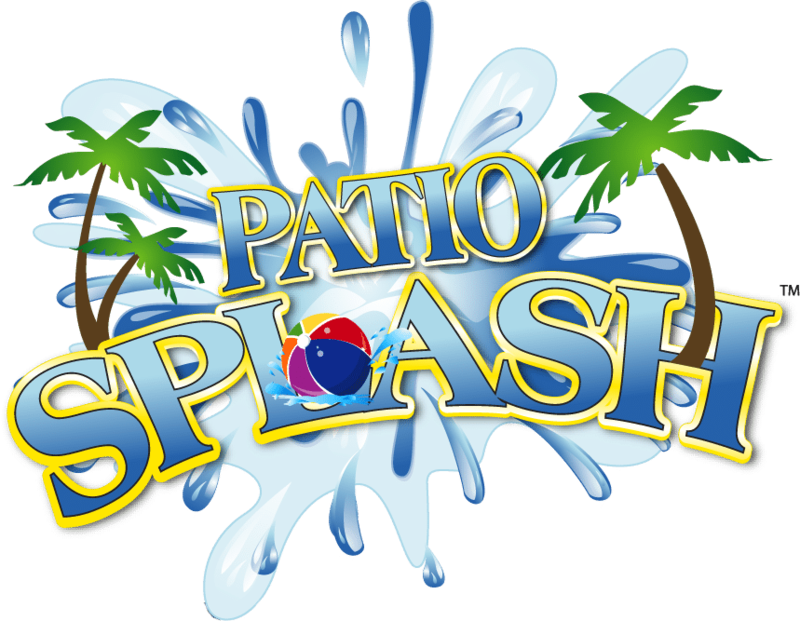 Thanks to the trained staff at Patio Splash, you don’t even have to do it by yourself! We have Bullfrog Spas installed at our own homes, and the set-up more or less involves finding a location, placing the spa, and filling it with water. Myth: I won’t use it often enough. You know this one is a myth… or you definitely will after experiencing Bullfrog Spa’s JetPak technology and total customization options (we discuss this in more detail in the following sections, so keep reading!). When a hot tub is truly yours, you’ll want to use it every day. Myth: The health benefits of a spa are overstated. Another wildly incorrect myth according to the US National Library of Medicine. If you want the nitty-gritty details, give this research publication a read: Scientific Evidence-Based Effects of Hydrotherapy on Various Systems of the Body. Myth: My friends will bug me all the time to use it. …Wait, this one isn’t a myth. That’s definitely going to happen! Why Should I Choose Bullfrog Over Another Brand? 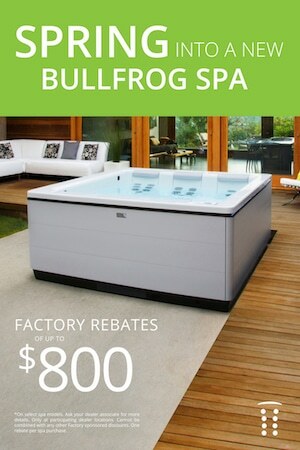 There’s so, so many reasons why we’re so proud to be the only authorized Bullfrog Spa dealer north of Denver. Our goal at Patio Splash is to only sell the best products… which is why we had to get our hands on Bullfrogs. State of the art customization options. Long lasting, durable build quality. Ridiculously fantastic value for an affordable price. One of the things that makes Bullfrog Spas so good is the JetPak Therapy System. Let’s discuss it in a bit more detail. What’s the JetPak Therapy System? The JetPak Therapy System is perhaps the most unique benefit of being a Bullfrog Spa owner. JetPaks are interchangeable modules that completely change the feeling of the spa’s strong jet system. Want the jets to work on your lower back? Shoulders? Do you want the jetstream to be broad and wide or strong and focused? There’s a JetPak that’s just right for you, and if you feel like something different, they’re dead-simple to swap out for a new variety. Excellent for therapeutic applications or simple relaxation, this innovative system allows for total customization. And let us tell you, it feels fantastic. What Does a JetPak Feel Like? It feels exactly how you want it to feel. The sensations you get from a JetPak Therapy System are completely different and customizable. Since there’s 16 different massage varieties to choose from, the experience you have is truly your own. It would be our pleasure to answer any questions you may have, to tell you about all of the features and benefits of owning a Bullfrog Spa, or to show you one in person. Our knowledgeable and friendly staff knows everything there is to know about Bullfrog Spas—because these are the same spas we use at our own homes. Come visit or give us a call! You’re also more than welcome to send us an email.